Needless to say, the intention of a cardinal bird feeder would be to attract the cardinal to your yard, right? 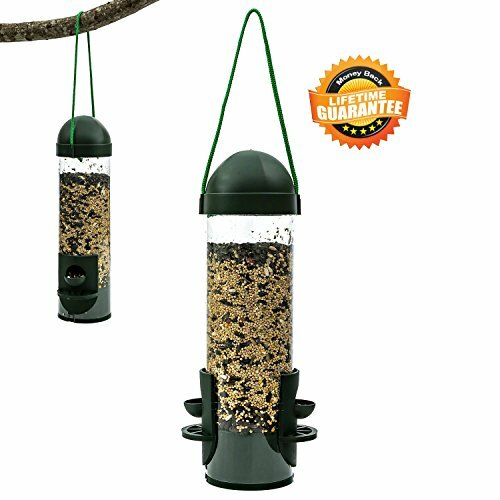 ✅ I use this cardinal feeder with this feed – and it works GREAT! Cardinals are probably the single most popular bird for backyard bird watchers. I love wathching them! So which cardinal feeder is best? 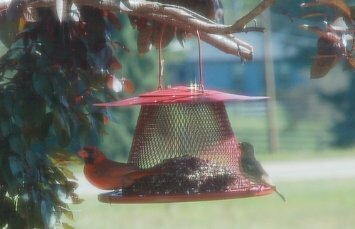 This feed/feeder combo is perfect for cardinals – they love it! To the dismay of many, there really is no “perfect” cardinal feeder per se… BUT this cardinal feeder works REALLY well – in fact, it’s a “crowd favorite”. When you combine this bird feeder with this bird seed, you have all you need to bring those beautiful red birds to your yard. This combination of feed and feeder is best – and it’s the overwhelming favorite of not only myself but also all our readers. ✅ You can easily add both the seed and feeder to your Amazon cart with this link. Cardinals certainly have both feeder and seed preferences. 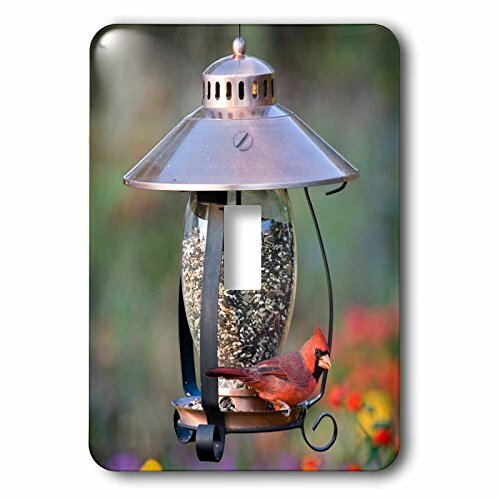 Any cardinal-attracting products on this page work really well to get cardinals to your yard. 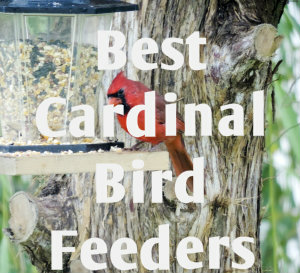 Let’s take a look at what cardinals like for their feeders and their feed. First, what doesn’t work that well. The tube bird feeder is quite popular. However, don’t make the mistake of thinking it is a favorite of the cardinal. I’ve been watching birds for years and years and I can tell you with complete certainty that this is not your best choice for the cardinal. He has virtually no neck and is forced to turn his whole body sideways to eat from a tube. In addition, he’s just a smidgen too big for most perches. Some people will advise you to add a tray to the bottom. Granted, you will see the bird more often if you do this. Just keep in mind that Droll Yankees trays fit Droll Yankees tube feeders; Aspects trays fit Aspects tube feeders; Bird Quest trays fit Bird Quest tube feeders. What Are The Best Cardinal Bird Feeders? Below are the best types of bird feeders for cardinals and the ones most likely to attract cardinals to your backyard. ✅ These specific hanging bird feeders for cardinals below are also highly recommended and will bring cardinals to your yard. 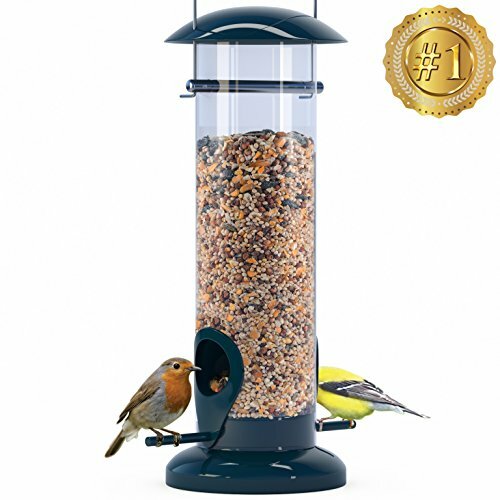 The best choice though, is this hanging cardinal feeder. Do you know which brand you have? Also, keep in mind that trays attract lots of other birds like grackles and starlings. If these birds visit your tube feeder, you won’t see many cardinals (or any other birds for that matter). Keep in mind the purpose of a tube feeder is to provide for small birds like the tufted titmouse and Carolina chickadee. Add a tray, in come the medium and large birds, away go the small birds-just like that, you’ve defeated the purpose of the tube. 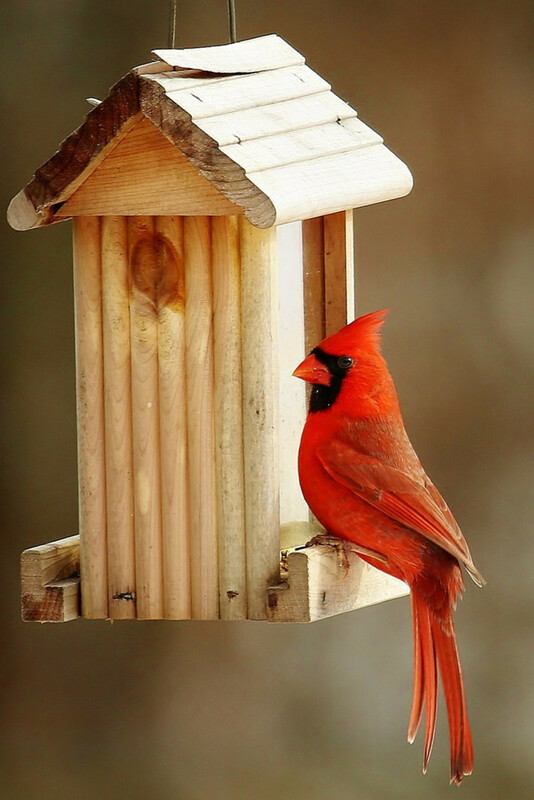 A proper cardinal bird feeder is any feeder whose design accommodates the cardinal’s preference to “bend at the hip” or not at all when feeding. You want a feeder that doesn’t force the bird to turn its body. 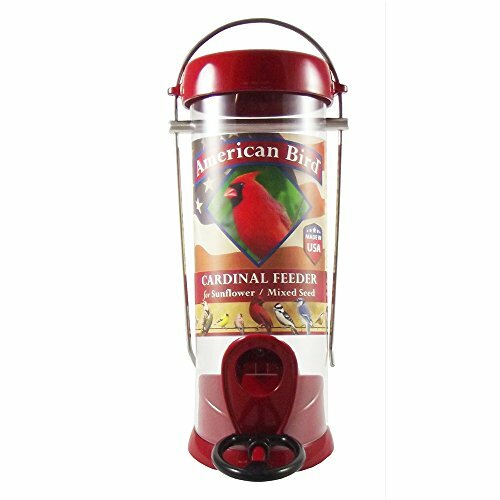 A basic hopper feeder is a great choice as a cardinal bird feeder. So is any fly-through bird feeder (a fly-through feeder is open on all sides and has ample space). Also, platform feeders on the ground are ideal cardinal feeders. There are manufacturers of feeders who describe their product as “cardinal feeder.” The no-no is one such example. Though this feeder does accommodate the cardinal, be careful! 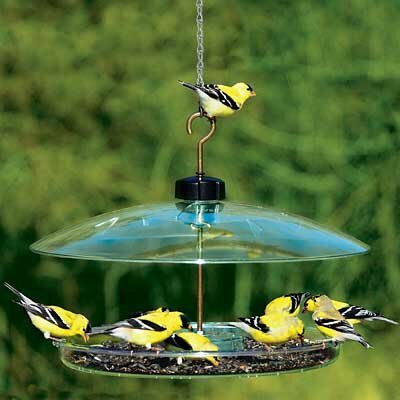 Many bird feeders do not do what the manufacturer claims. 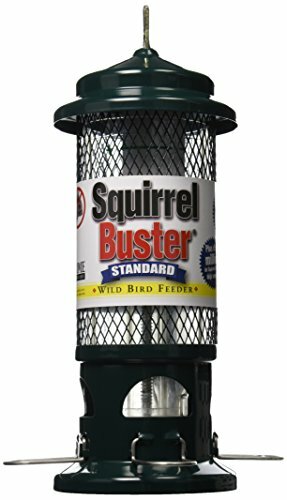 The Droll Yankees squirrel proof feeder called the whipper is designed to be a cardinal feeder. The curved perch is a fantastic innovation that accommodates the bird perfectly. The Brome Care “squirrel buster” squirrel proof feeder, with its detachable ring, also serves the bird, though the bird does not appear as comfortable on this feeder as he does on the whipper (make no mistake, though, the Brome Care Product is equal and even superior to the Droll Yankees product in many ways). What seed should you feed the cardinal? Hands down, safflower. This is a bitter tasting seed that squirrels, grackles and starlings tend not to eat. If you don’t have these pests floating around, any quality bird seed will do. Black oil sunflower seed and sunflower hearts (chips) are favorites of the cardinal. He’ll eat most blends, too but don’t use big box blends–they’re full of filler that birds don’t eat. I’ve seen cardinals eat fruit–you’ll need a fruit feeder for this. So, what is my favorite cardinal bird feeder? You know, my advise to bird watchers desiring to attract cardinals to “get back to basics.” I recommend either a wooden hopper feeder or a fly-through platform feeder serve as their cardinal bird feeder. If you follow this advise and are patient, I promise that you’ll be visited by this beautiful bird year round! What attracts cardinals to your backyard? To attract cardinals to feeders, set out sunflower seeds, safflower seeds, cracked corn or apples. Place the goodies on a sturdy platform or hopper feeder near shrubs or other cover. Don’t expect cardinals to use a tube feeder, says David Bonter, head of Cornell University’s Project FeederWatch. The birds find its dainty cylindrical perches difficult to stand on. Learn more ways to attract cardinals to your backyard. While cardinals prefer seeds, they also will eat nuts. Cardinal’s two favorite seeds are black sunflower and safflower but will eat peanuts, millet, and cracked corn. Cardinals are usually the first bird to feed in the morning and the last to feed at night, because they are ground feeders and with their bright color, feeding at these times are safer. Cardinals aren’t “clingers” like other types of birds – they prefer flat, stable bird feeders so they don’t really eat suet. Backyard Bird Bath Tips – Do You Need a Bird Bath in Your Yard? Squirrel Proof Bird Feeders – Do They Really Work? Copyright © 2019 Best Bird Feeders. Powered by WordPress and Themelia.